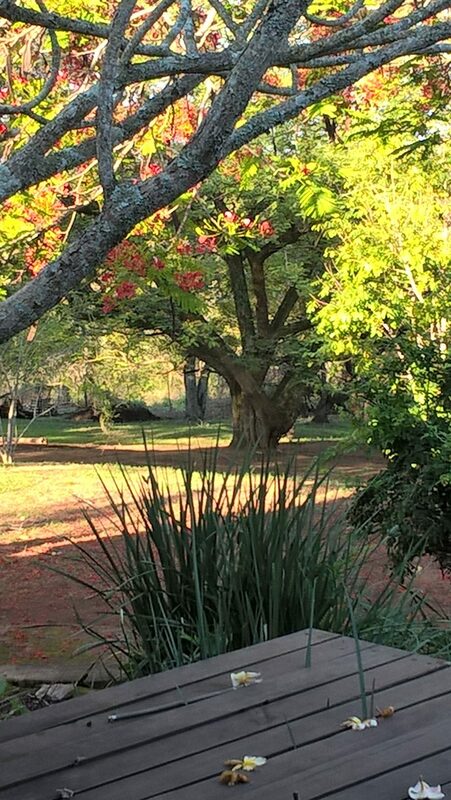 The Spiral Path Retreat Centre is run from my beautiful home on the outskirts of White River, in the heart of the Jock of the Bushveld Conservancy. It is the perfect place to retreat from the world for a while. I create a sacred and safe space for you to step away from the fast pace of life and slow down. Maybe you just need some breathing space in order to take stock of your life, take a look at your own needs and wants. Or you need a sounding board or guidance to get clarity on where you are and where you may be headed. Perhaps a healing energy session, creating a vision board, journalling or just enjoying the peace and beauty of nature while I hold the space is what is required. The structure of the Retreats I offer is flexible and highly personalized. I welcome you into my space and offer support, guidance and nourishment for the soul. You will leave renewed and refreshed, with clarity and insight into the next step of your journey. I provide all Retreat materials necessary. Retreats are one-on-one or I can take a maximum 4 people sharing accommodation and are offered from 1 – 5 days, depending on your need and your budget. Rooms are en-suite, simple yet comfortably furnished. There are several meal options available and special dietary requirements can be catered for, or you may bring your own food. Our dogs and cats are part of our life so if animals are not your “thing” or you are allergic, then this is not the place for you. Please contact me for more information and a personalized quote. “First and foremost thank you and Andrea so much for a wonderful and inspiring workshop. Loved the fact that we all interacted so well with each other.